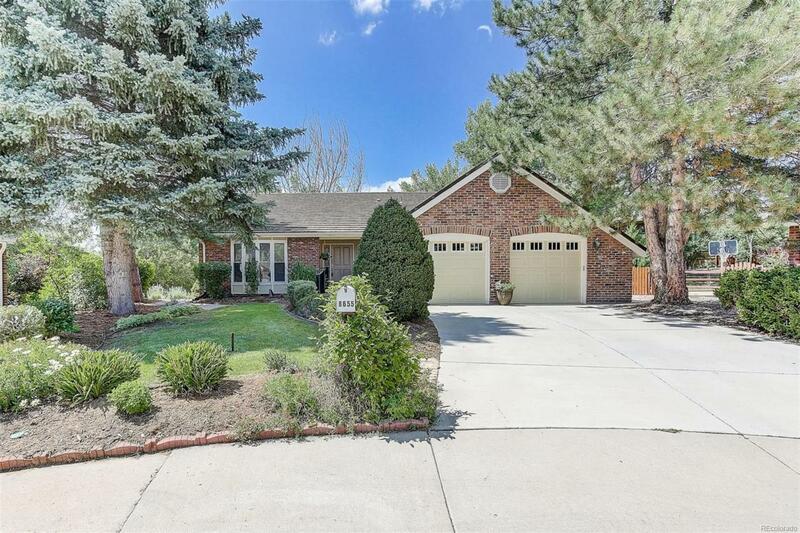 Remarkable ranch style home and location. Cul de sac with large professionally landscaped, low maintenance yard. Park like setting with amazing organic garden with misting system. You'll love to entertain on the deck and patio with privacy and mountain views. Home has been modified for wheel chair accessibility and includes both chair stair and path to walkout basement. Great for Next Gen, as well as all others - basement could be Mother in Law area. All of this within Willow Creek Community with Blue Ribbon Elementary School and feeding to CCHS. Close to light rail, shopping, dining, and DTC. Pools, Tennis, Clubhouses and miles of trails. Newer hail proof stone coated steel roof and exterior paint. Ornamental deer in back yard and kitchen bar stools are included. Appliance warranty.